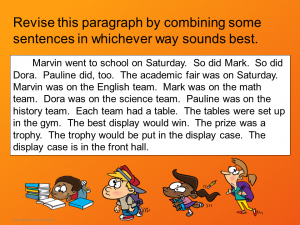 I’ve just finished a major revision and update of my Expanding and Revising Sentences presentation, and so I wanted to share some of the contents. 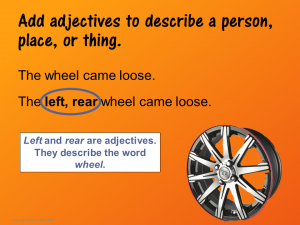 In addition to revising the existing content and adding new clip art, I’ve added lots of new content as well. 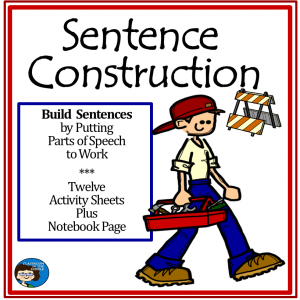 I’ve added sections about combining sentences with coordinating conjunctions and subordinating conjunctions and a section about imbedding ideas from one sentence into another sentence using phrases and modifiers. 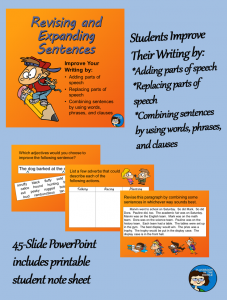 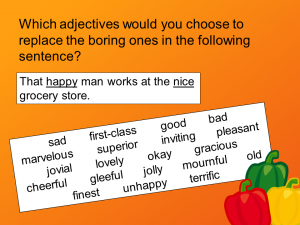 One reason for the new additions was to make this PowerPoint coordinate more closely with my Sentence Construction and Sentence Renovation Activity Sheet Sets. 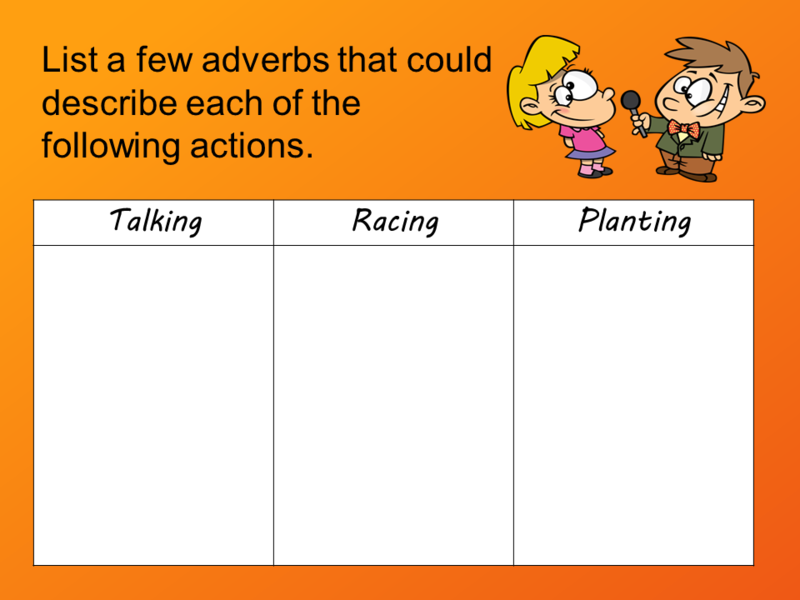 Also, as with many of my other PowerPoints, I’ve added a printable activity at the end. 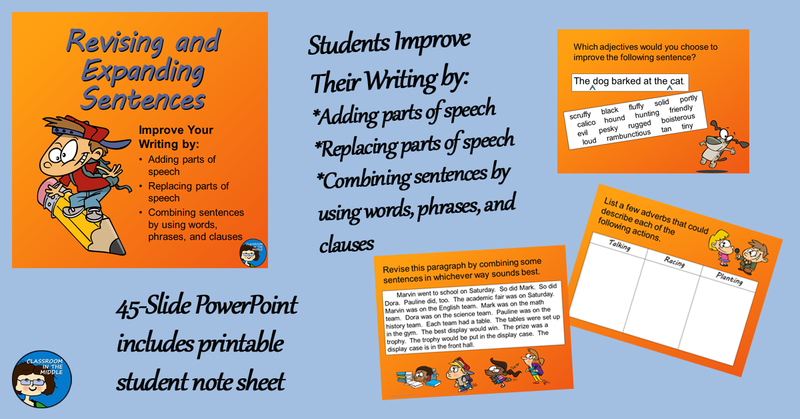 This one is a cut and paste chart that students can complete and save in their notebooks. 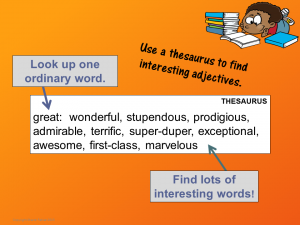 These are the first two slides about adding adjectives; they provides an example and remind students of a good resource. After a few practice slides about adding adjectives, the subject moves on to replacing boring adjectives with more interesting ones. 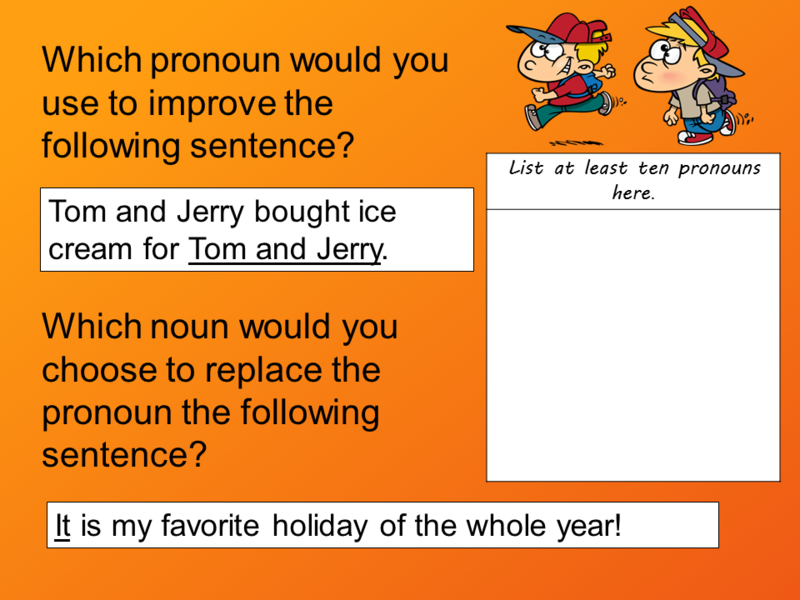 Here is the first practice slide. 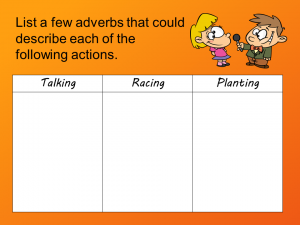 The next topic is adverbs; here is one of the practice slides about adverbs. 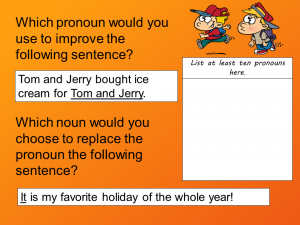 The next few slides are about replacing nouns with pronouns and replacing pronouns with nouns. 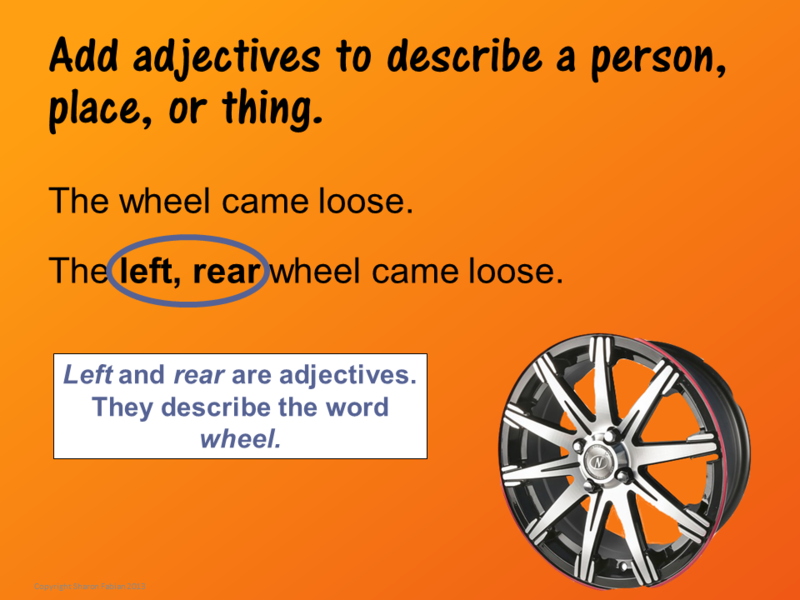 Well, you get the idea. 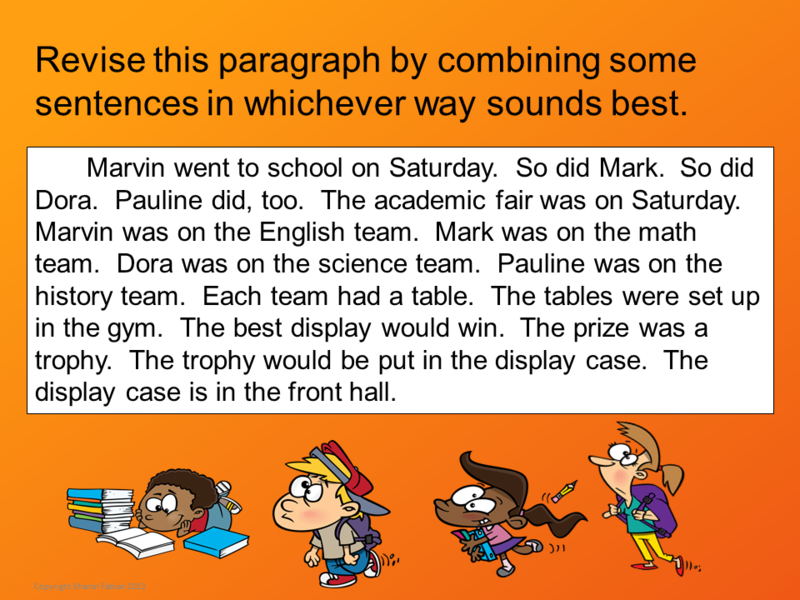 Next comes adding prepositional phrases, followed by replacing common verbs and nouns with more interesting ones. 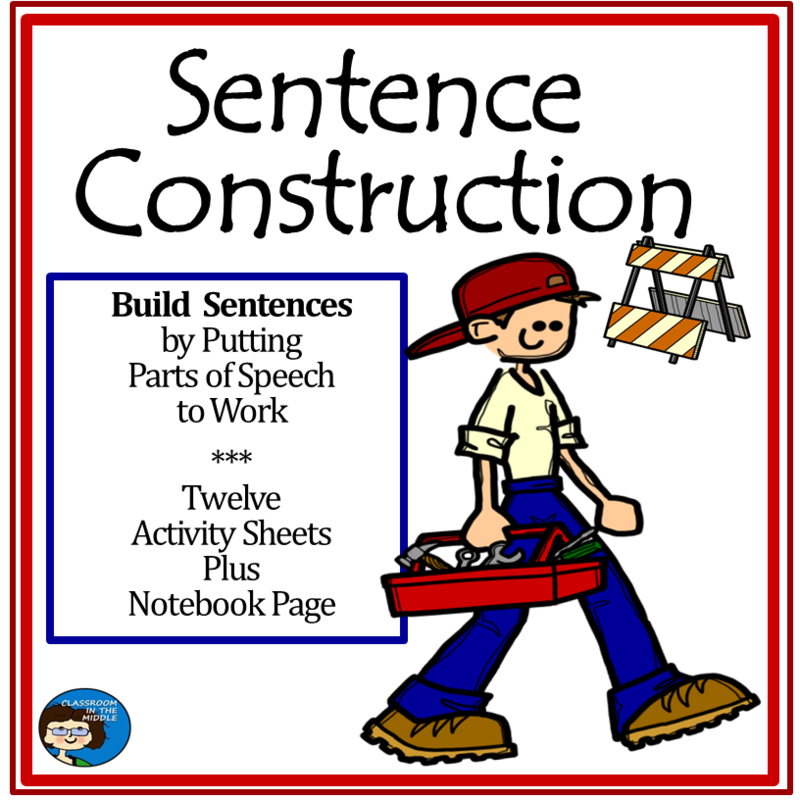 Following that the final sections are about writing compound and complex sentences by combining clauses with subordinating and coordinating conjunctions. 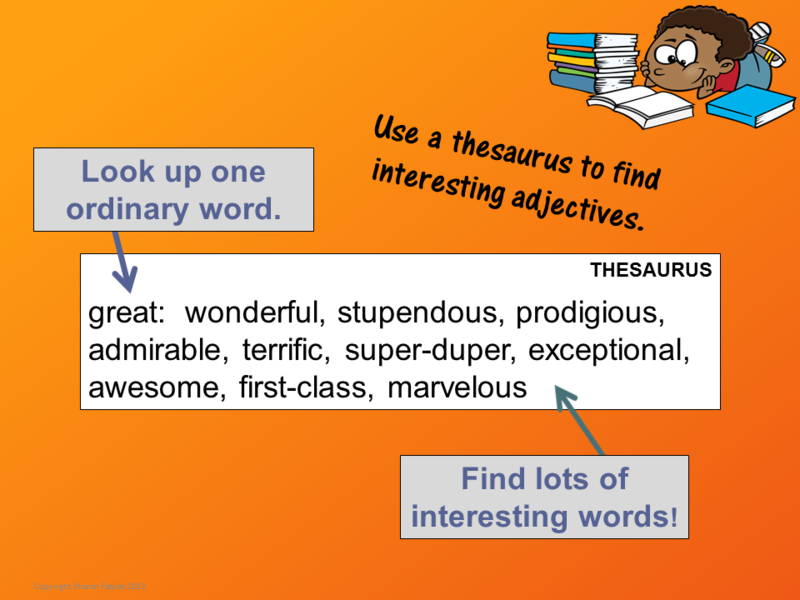 Here is one more sample slide.